PLEASE NOTE, INTERNATIONAL SALES ARE $21. 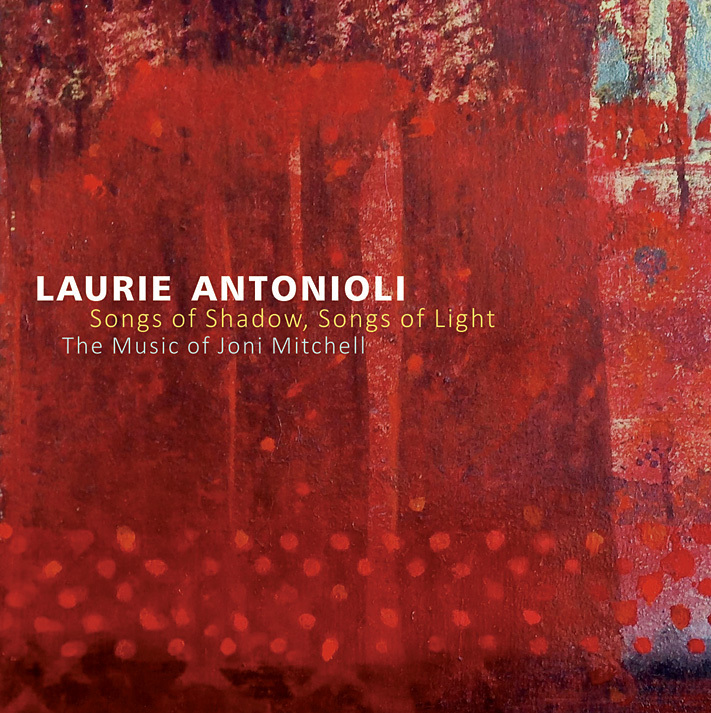 Antonioli explores the rich layers of Joni Mitchell’s music, unearthing fresh emotional insights and submerged musical ideas while turning each song into her own revelatory tale. She leaves no doubt about her ability to put a personal stamp on Mitchell’s most soul-baring songs. Many feel that Joni Mitchell is one of the most important artists of the twentieth century, and I agree. She was a seminal influence for me, along with Miles Davis, Betty Carter, Neil Young, John Coltrane, the Bulgarian Women’s Choir and many others. Joni was my inspiration when I was in high school, but when I was eighteen, I left my guitar and singer-songwriter music behind. For forty years I’ve been a jazz singer, though my roots have always seeped through the cracks, with Joni at the heart of it all. It turned out that Matt is not only a “Joniphile,” but he has a photographic memory and knows every song from every album Joni recorded. It was so much fun that we just kept going—I didn’t want it to end. So after all this time, there we were, revisiting the music that got me started—the lyrics, the melodies, and the harmonies that still feel so fresh and provocative. We think of our group as a band with a singer as the lead instrument rather than as a vocalist accompanied by a band, and we always work collaboratively. Dave Mac Nab, Matt Clark, and Sheldon Brown all contributed arrangements, and this allows each song to inhabit a unique space. As the leader, I listen and make adjustments in tempos, textures, and feel so that I can sing comfortably and still be in sync with the instrumentalists. We’ve been together for about eight years, and it’s easy to communicate without too much discussion. This keeps things lively and allows for great surprises and unexpected turns. With our configuration of instruments, the possibilities are endless, especially given Sheldon Brown’s arsenal of reed instruments. Because we work collaboratively, it was important to me to record live. We took over two studios, a control room, and a hallway at the iconic Fantasy Studios so that all six of us could play at once and have complete isolation for each instrument. We recorded thirteen songs over three days and kept them all. People’s Parties is a short, perfect opener for the recording. I knew that Theo Bleckmann could conjure the choir of voices at the end to complete the story, and I love his pristine sound. Rainy Night House features some great soloing by Dave Mac Nab and Sheldon Brown. In Barangrill not only is the bass clarinet involved, but Sheldon overdubbed five clarinet parts for the soli sections between verses. You’ll hear the bass clarinet—an important instrument for the band—appear in other songs in the album as well. Eastern Rain is a song that Joni never released on an album. It’s a somewhat simple folk song with an Eastern European riff between sections. Sheldon transformed the song with a 7/8 Balkan feel, and we found some mystery through the layers of sound. I found my personal story in Cold Blue Steel and Sweet Fire, and sixteen years into sobriety could sing it with a visceral memory of all that it describes. Both Sides Now is Joni’s most recorded song and one I wasn’t sure about doing because of that. Each day, at the end of the session, Matt and I did one or two takes to see if we could get something. We didn’t rehearse or even talk about it, other than to agree we wanted to find a different approach to it. The song evolved into a haunting jazz ballad. Hissing of Summer Lawns is a dark tale. The middle section was designed to create chaos—the inner struggle of the housewife trapped in her home overlooking the sounds and sights of a “perfect” life. Beauty and chaos, dark and light, and all the various shades in between are acknowledged in Joni’s music. Woman of Heart and Mind is something a younger woman would sing to declare her place in life, and I had to find that woman in myself again. The story is another brilliant case of Joni’s dichotomies and conflict, irony and resolution. This Flight Tonight is a Matt Clark arrangement and was a challenge to sing at this tempo. Joni’s songs are wordy—fine words that they are—but not easy to articulate, even for someone who’s used to fast bebop songs. It’s a great up-tempo ride and features Jason Lewis on drums. If you listen to “America the Beautiful” from my American Dreams album and River on this one, you’ll catch the distinctive sound of Dave Mac Nab’s arrangements. I Don’t Know Where I Stand is a beautiful composition in melody and lyrics. Matt wrote an entirely new solo section to play between the second and third verse—he and Sheldon mutually improvise in gorgeous interplay. Marcie, though tragic, is infused with a middle section in a 10/8-meter of instrumental relief and strength. Something Marcie needed so. There’s much that’s been said about Joni. Countless books, essays, articles, interviews, photos, exposés, and movies have been made about her genius. I’d simply like to say, Thank you, Joni. It is an honor to perform your music. I have deep gratitude for all you’ve given us. 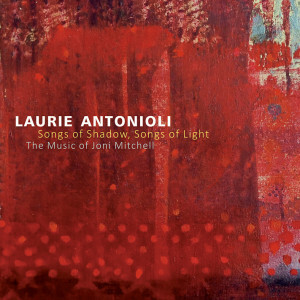 Be the first to review “Songs of Shadow, Songs of Light” Click here to cancel reply.